paperback, 8 ½ x 11, 104 pages, 74 photographs (31 full-color), isbn 9781883789282, $19.95. Frederic Edwin Church was the most famous and successful American painter of the mid-1800s and one of America’s most important artists. When Church was eighteen years old, he began studying under Thomas Cole, founder of the Hudson River School of landscape painting. Just one year later, he made his professional debut as a painter with the exhibition of one of his works at New York’s National Academy of Design. When Church was twenty-three, he was elected to full membership in the Academy—still today the youngest artist ever to be so honored. With fame came wealth. In 1859, when Church was thirty-three, he completed the painting Heart of the Andes and sold it for $10,000.00, the highest price at that time ever paid for a painting by a living American artist. Church had attained the pinnacle of the art world. But personal tragedy would soon strike. His son and daughter, aged two-and-a-half and five months respectively, died of diphtheria within six days of each other in 1865. Church continued to paint, but more and more his creative energies went into the transformation of his modest hilltop home into a towering Persian fortress/treasure house and the extensive grounds into what one 1891 visitor described as a “perfect Eden of picturesque beauty.” What Church called “the Center of the World” became a personal vision of harmony between people and the American landscape, his “last great work,” according to art historians. The author of Frederic Church’s Olana, the late James Ryan, was site manager of Olana from 1979 to 1999. Under his twenty years of directorship, Olana became one of the most significant artist’s homes and studios, both nationally and internationally. Ryan’s essay on the design and construction of Olana between 1870 and 1891 and the life and work of Frederic Church has been enhanced by an afterword on the subsequent history of Olana from Church’s death in 1900 to the present, written by David Seamon, professor of architecture at Kansas State University, and Dr. Karen Zukowski, former curator of Olana. To say that Olana is the single most important artistic residence in the United States and one of the most significant in the world, is to state the obvious. To say that it is a place of the rarest, most profound, and most moving beauty and complexity and that it is a place that must be experienced to be fully understood and appreciated, is more to the point. In the end, though, one can only say that Olana is unique. ----from the Introduction by Franklin Kelly. 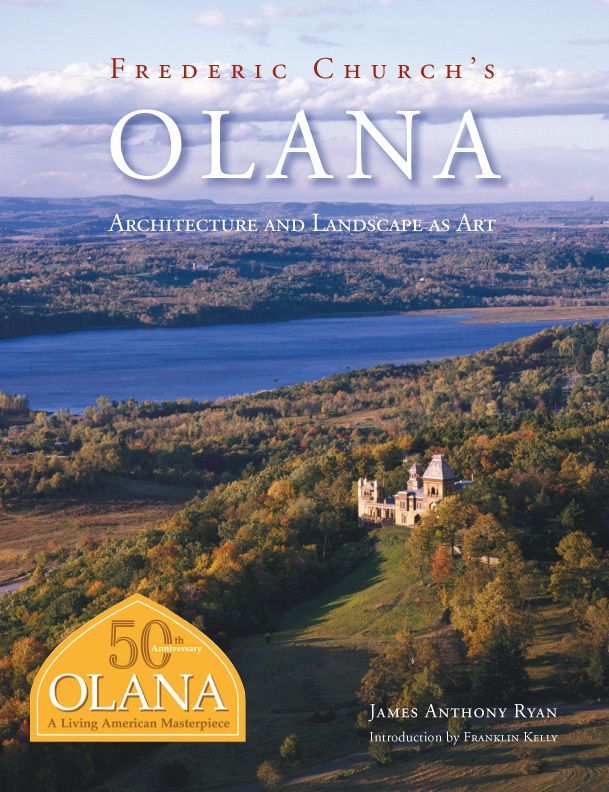 Increasingly, Olana is recognized as Church’s last great artistic effort carried out, not in paint, but in landscape, architecture, and interior design. Today, visitors to Olana are also touched by the sense of home they find there, where the creations of people and nature, the human and the divine, merge in domestic and artistic harmony. This product was added to our catalog on Wednesday 06 July, 2016.